There’s been a lot of talk online and in books about whether religion in general and Christianity in particular has been good or bad for society. For the latter, an example is the atheist Christopher Hitchens in his book God Is Not Great: How Religion Poisons Everything who argued that it’s been bad. Theists like David Bentley Hart (as in Atheist Delusions: The Christian Revolution and Its Fashionable Enemies) and the authors in Christianity On Trial disagree. Why think religion does have a negative effect on society? One reason might be to see how bad things have been done in the name of religion. Well, it’s often true that people who are religious use their religion to galvanize their cause, but how does that show that their religion is what causes them to do evil? Often lost is the effect of external cultural influences. Atheists who believe Christianity inspires people to burn their enemies at the stake should ask themselves, “Why do today’s Christians in e.g. the United States claim to abhor such acts?” Is it that they secretly wish they could do it? No. External cultural influences (such as a culture that values tolerance) are a factor, and we should ask which cultural influence, like that of valuing tolerance, better fits with the religion in question. On that note, we should ask whether the act done in the name of religion violates the dictates of said religion. If for example it’s written in the religion’s scripture to love your enemies and the people brutally persecute their enemies in the name of that religion, it’s could be that the religion isn’t what’s causing the behavior and that there’s more to the story. What else could it be? Human nature has a streak of barbarism to it, and under this unfortunately large umbrella is sort of tribal mentality and the temptation to do ethically questionable things for one’s “tribe,” whether that tribe be a nation, religion, or some other ideology. Intolerance and bigotry can go under just about any flag, even tolerance itself (I’ll discuss that in a future blog entry). I’m sure it’s far from coincidence that I’ve seen Christians believe their faith to have if anything a benevolent effect on humanity and atheists believe the opposite. Why are people up in arms about this in the first place? For whatever reason, there appears to be the temptation that what one accepts as true will have a beneficent effect on the world, and that which one disagrees with will have a malicious effect on the world. This temptation should be resisted, and this general truth should be remembered: it is fallacious to judge the truth of a belief by its social impact. I really don’t care all that much whether atheism or Christianity has a better social impact; I care about which view is true, and on this matter arguments about social impact are irrelevant. We should remember that negative social impact of Christian belief does not constitute evidence for Christianity being false. Another thing to consider is Jesus’ own words. Jesus says that not everyone who calls him Lord will enter heaven. He tells a tale whereby evil bastards who have called him Lord are banging on the door to heaven, asking to be let in, and Jesus says, “No, you’re evil bastards; I never knew you.” If we Christians are to take what Jesus said seriously here, I think we need to at least be open to the possibility that an awful lot of evil bastards have called Jesus their Lord. And whether by coincidence or otherwise, Jesus’ words were rather prophetic: there have been a number of people in human history who have called Jesus their Lord yet have done morally reprehensible things. If anything, evildoers calling Jesus their Lord in human history is to be expected. So if you meet an atheist says “People who are Christians have done terrible things!” reply with something like, “Yep, Jesus predicted that would happen a long time ago.” Feel free to mention also that it is generally fallacious to conclude a worldview is false because its adherents have done evil things, especially when the worldview in question predicts that there would be adherents doing evil things. Remembering this can be very liberating; it allows the Christian to follow the evidence where it leads on whether humans have used Christianity as a tool for good or evil; Jesus predicted that people who called him Lord would do evil, and we should not be surprised that this occurred. All that said, I’m rather skeptical that believing Jesus is the Son of God and that following Jesus’ teachings (to love our enemies, blessing those who persecute us, etc.) makes it more likely that a person will do evil, which brings us to the next section. (2) Jesus is the Son of God (and thus an incarnation of God). (3) Jesus died for our sins and physically rose from the dead. (4) The two greatest commandments are to (a) love God with all our heart, soul, and mind; (b) love our neighbors as ourselves. (5) Jesus (an incarnation of God) taught us to love our enemies, to do good to those that hate us, and to bless those who persecute us. (6) Those who disagree with our religion may be our enemies, but even if that’s so we should still love them and do good to them anyway. (6*) In spite of (5), God wills it to for us to kill those Muslims over there and to persecute many who disagree with our religion. Clearly, whether religion will inspire violence depends greatly on the specific religious belief system. It’s pretty implausible that (1)-(5) will by themselves cause people to do evil; to do evil you’d need more, e.g. (6*). It might be that (6) fits in more naturally with (1)-(5) than (6*) does, but the fact remains that religion B being taught and believed does make it more likely for people to do evil. That said, is religion B really the cause of the evil action or more of an intermediary? I wonder if blaming religion B for being the cause of the evil is a bit like blaming a meat cleaver for a victim’s death rather than the person who struck the victim with it; the meat cleaver helped, but it wasn’t the root cause. Both Christians who abhor the violence and persecution done by Christians and the Christians who inflicted the violence and persecution accept (1)-(5), but they differ on whether to accept (6) over (6*). External cultural influences (like that of a tribal mentality and a streak of barbarism) likely played a role in favoring religion B over religion A, because given that both groups exist, there has to be some reason why some Christians would follow religion B over religion A and vice versa, and if so at least part of the reason would have to lie somewhere in the societies and cultures that subsumes those two religions. Moreover, (6) seems to fit in better with the original religion than (6*), further suggesting the existence of some factor in the culture and society subsuming religion B that influences people to accept religion B over religion A. One could argue that religion B being available to be taught and believed made it more likely that horrible things would be done, just as having weapons (meat cleavers or otherwise) make it more likely that killing would happen. I find that plausible, but I am not convinced it’s quite appropriate to say that religion B is the cause of such evil any more than the meat cleaver caused the murder, because external cultural and societal factors are needed for people to choose religion B over religion A in the first place. To put it metaphorically, it’s not enough to have a meat cleaver lying about; you also need external factors to drive someone to use it to kill someone rather than to prepare food. Even if it’s true (as I think it is) that religions of a certain sort, like religion B, make it more likely that horrible things will result if that religion is taught and believed, the problem really isn’t religion per se but certain varieties of it. It’s implausible that religion A will inspire violence, and it’s implausible that items (1)-(5) will by themselves inspire evil. I cannot, however, deny that it [religion] has made some contributions to civilization. It helped in the early days to fix the calendar, and it caused Egyptian priests to chronicle the eclipses with such care that in time they began to predict them. These two services I am prepared to acknowledge, but I do not know of any others. Russell’s ignorance here is astounding. What about all the universities and hospitals the people built under the Christian flag? Religion has been used as a tool to abolish slavery (it was Christians who rebelled against the historic status quo and quashed it in the West despite how well entrenched it was in the world economy), rally against child labor laws, and promote public relief programs. Even a non-historian could ask, “What about the loads of charity work done under the influence of religion?” It’s almost as if Russell looked only at one side of the ledger before declaring religion’s influence morally bankrupt. There are many religious charities, and Christianity is not unique among works of charity; giving to the poor is one of the pillars of Islam. In Arthur C. Brooks’s book Who Really Gives he cites statistics to show that those who attend a place of worship weekly tend to give more, and that should hardly be surprising. If you live in a community of like-minded believers, congregating in a faith that emphasizes charity (e.g. Judaism, Christianity, and Islam) these sorts of beliefs are more likely to be reinforced, especially if one in the community proposes, “Who wants to help me do some volunteer work at this place that helps feed starving children?” That call to action makes it more likely that charity work will be done; certainly I’ve found that to be true for myself. I’ve volunteered where I otherwise would not have because the request was made within my own religious circle, and admittedly I’d feel a little guilty if I said “No” particularly when I reflect on how little volunteer work I do. Of course, it could also be argued that religion is also a tool of much evil. That’s true, but to say that religion has on the whole been a tool of evil will require a pretty extensive historical survey of all the relevant goods and evils, and more often than not I see atheists who claim that religion’s net influence is harmful fail to do that. Bertrand Russell, with all his brilliance, is an example of just this sort of spectacular failure. Religion itself is not the problem; like technology, religion can be a tool for good or a tool for evil. Christians especially should be open to the possibility that Christianity has been used as tool for evil and that Christians have done terrible things, since Jesus predicted long in advance that there would be evildoers calling him Lord, and I do not believe it would be recorded were it not meant to be a sober warning. Whether on the whole religion has been a tool used for good or evil is not exactly the easiest judgment to make, and would require pretty extensive historical research of the relevant goods and evils. As I said earlier, I’m rather skeptical that believing Jesus is the Son of God and that following Jesus’ teachings (to love our enemies, blessing those who persecute us, etc.) makes it more likely that a person will do evil. Still, even if I’m wrong it is irrelevant to what’s really important: whether Christianity is in fact true. Matthew 7:21-23. I may have paraphrased it slightly. I really appreciate this well thought out post. I just stumbled upon this website and I was pleasantly surprised by it. Thank you. You're welcome! 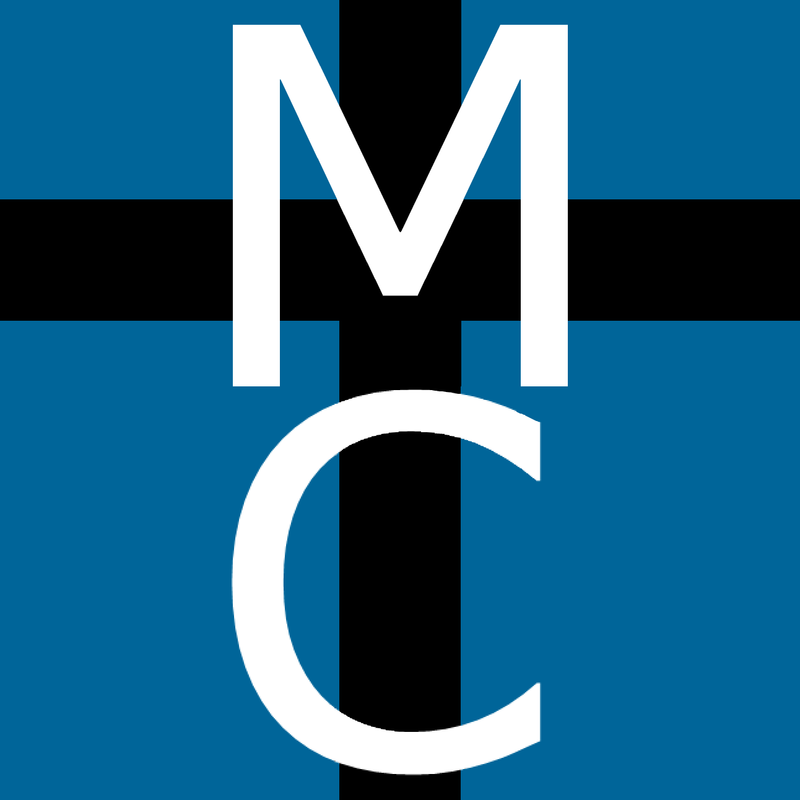 If you wish you can follow me on facebook, where I have a Maverick Christian Blog Group.